And I won’t get into that kind of debate, but in researching that post, I came across the ink prices listed in the table below. Take a moment to look over those per ml prices for some common bottled inks. Some attractive, boutique inks as they have sometimes been referred to, fair pretty well, and offer some fun features for keenly competitive prices—Diamine’s Shimmertastic range springs to mind. 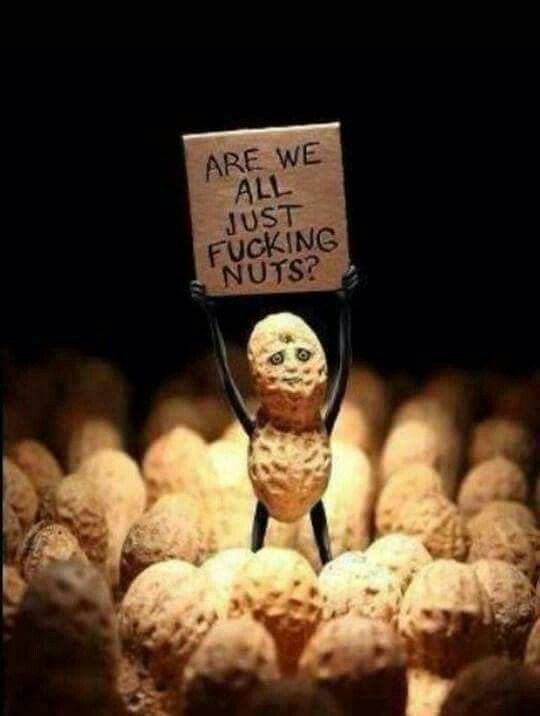 Others, not so much. I haven’t compared per ml prices for cartridge ink, since even the small dollar price tag that a pack of six to ten cartridges, and the equally small capacity of each unit, averages out to be about the most expensive way of buying fountain pen ink. My thinking was that, when fountain pen enthusiasts buy cartridge ink, they are most likely buying for convenience rather than economy or to have a plentiful supply of a given ink, and thus, a premium price of a few dollars for cartridges is not really a valid comparison to purchasing bottled ink. I’ve arranged them from the most expensive, descending to the least. 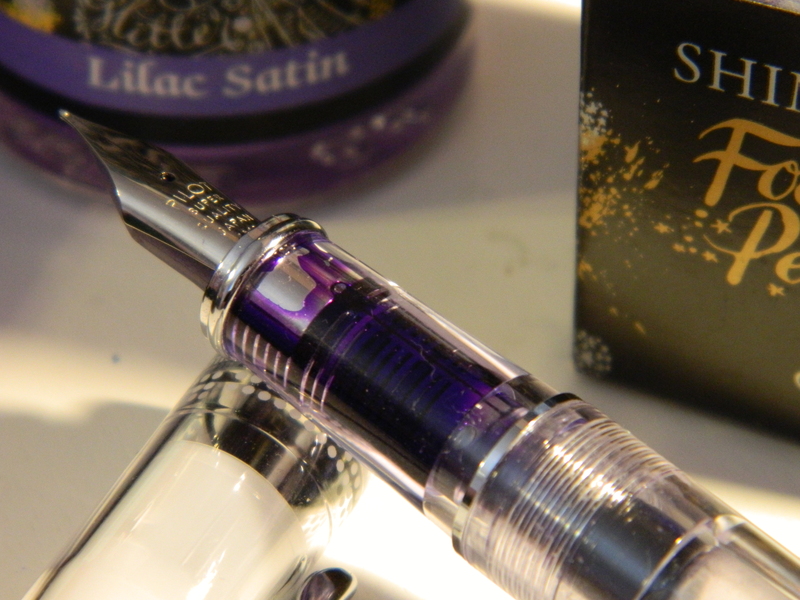 I think it’s interesting to note, that of the top ten that I’ve listed, Sailor inks occupy four of the top slots. Also, of the three inks that work out to $1.00 CAD or more per ml, two of them are Sailor products. Whilst in the ten least expensive, Sailor appears only once. I’m also deliberately avoiding the subject of Sailor’s recent re-organization of their range. I seem to be giving Sailor a particularly hard time here, but I happen to love Sailor inks. They are excellent performers, with beautiful colors. And of course, when you pay $400 CAD or more for a pen, is it fair to criticize how much you might pay for the ink? Like I said earlier, as a luxury product, it’s worth what the market will bear. But after putting this list together, and comparing some beautiful inks at the top and bottom of the scale, I am feeling a little more conscious of the relative value of some of my favorite brands. I won’t say that this will stop me from buying an attractive, premium branded ink; expanding my ink horizons is a pleasure I have only really started exploring in the last six months or so, and I have no intention of stopping now. But comparing prices on a per ml basis, does make me consider more carefully where my money has gone in the past, and where it might go in the future. What do other people think of the premium ink pricing that we all deal with? Have I made fair comparisons? If you don’t think so, what am I missing? Am I right to be a little bothered? Or is this all a perfectly natural part of the free-market economy, that simply regulates itself through the forces of supply and consumer demand? Also, feel free to check my sums, I have been guilty of being a bit blasé around a spreadsheet before now. – ink bottles – another commentator, and for the life of me I can’t remember who, has argued that we should also consider the price/value of the bottle when making these comparisons. I have sympathy but it’s not that easy. The little plastic bottles for Diamine, while useful, don’t have much value that I can see. On the other hand, some of the glass bottles, such as Iroshizuku when they were still hand made, or Graf von Faber-Castell are objects of beauty. How do we account for that factor? – I know that there has been some noise around the 100 inks recently launched by Sailor in new small bottles of only about 20ml. The price is less than the Jentle inks but the volume is much less. The price per ml has soared, though I can’t quote specifics I have a feeling it is USD12 per bottle. I may be in a minority but I actually don’t mind. Most bottles of ink are far, far too large for me to have use for. The 20ml is quite handy. I can buy several bottles at 12 dollars compared with 1 bottle of Bungbox (which annoyingly is an extraordinarily beautiful line of inks) and I don’t need to worry about wastage anything like as much. And I say this as someone who, if forced to stick to one brand alone, would more than happily keep with Diamine which has a high proportion of my all time favourites. Packaging: You don’t really account for it… or rather, you do, you have no choice but to pay for it. Which, as you quite rightly point out, is often a pro rather than a con. I have actually purchased attractive, empty ink bottles, to transplant ink from large, budget plastic containers. What does that say? I think it says, the price is what your customer will pay. And, as a customer, I make my own choices. Quantities and Price per ml: Maybe I’m greedy, or maybe I get through a lot of ink, but I like to buy large bottles. I like Diamine and Noodler’s because I can get 80ml and 90ml bottles straight off the shelf in most stationery stores. 100ml or more, are bottles I usually have to order (e.g., J. Herbin Perle Noire is a great black, and comes in 100ml). 50ml Sailor Jentle bottles (with those annoying plastic widgets in them), are about the smallest I usually buy… unless I’m really hooked by something. I really don’t expect to be buying (m)any 20ml Sailor inks. But to be honest, that would be the same if they sold those 20ml bottles for $10 each; I would have to buy five at a time 🙂 Especially if it was a color I really enjoyed. I’m kind of wondering out loud, and throwing it open for like-minded comment. The key is fashion colors. I pay more for tiny bottles of nail polish, too. Why? I use it infrequently but care deeply about the specific color. The color is the entire reason I use the product. For an item like that, I’ll gladly pay a premium for an appropriate quantity, I.e., an amount I’ll use up in reasonable time. It seems like I’m a bit of an odd one out. I’d like it if Platinum sold their Pigment Blue and Black in a handy 2 liter jug, preferably for about ten bucks, but you can’t have it all can you? Trouble is, if I went away on holiday, I’d try and pack both jugs in my hand luggage, convinced I’d run out otherwise. Meanwhile, the Ink Magpie in me, still reads reviews and falls for colors that are several dollars per ml, and somehow, they appear in my desk drawer over time. I may have more than one issue. One other thing to factor in is the variation in pricing between countries. I’m not sure what determines these differences – market size, import duties, etc – but in the UK, Iroshizuku inks will cost you roughly the same per ml as Caran D’Ache Chromatics (we pay roughly the same sterling price for Iroshizuku ink as you do in Canadian dollars). I love trying new inks, but it’s much easier to justify a 30ml bottle of Diamine than the aforementioned Iroshizuku. Like you I’m a fan of Sailor inks, and I think the Four Seasons inks are about right in terms of quality vs price (UK pricing is around £16-18 for 50ml). The colours are great and you pretty much always get good shading and sheen thrown in. Yep, I agree, but I torture myself with reviews of inks I want, but will probably never buy, all the same… and those Colorverse inks definitely fall into that category. Thank you for your work in putting this together. For years, I was content with one or two inks, a blue and black. I now have a drawer full. Yes, some are more expensive than others, with prettier bottles (Iroshizuku and Graf von Faber-Castell for example) but when you spread the cost over a year, (even if you fill a pen about once a week from a 50ml bottle) the cost is not really significant. Also some very good inks are not expensive, such as Waterman. The more wasteful problem is buying things I do not use, or do not use enough. Definitely waste is a problem, and I have bought, say, a black ink in the past, found it isn’t quite wet enough, or not sufficiently water-resistant, and I’ve started using another instead. That is a big problem for me, but using a whole 80 or 90ml bottle? Nope, I can usually get through 90ml of a daily-use ink in about 6 months. I’m kind of hoping that’ll slow down a bit when the PhD finishes, but who knows? And yes, I am also erring toward the cheaper inks these days… I have a few Sailors in my drawer (as Willo has said, purely for their colors), but more Diamine and Noodler’s than anything else. I’ve actually been wrestling with a review — which I haven’t finished, for some weeks — of some inks that are at the upper end of the price scale per ml. I think we all value these things differently, and I hesitate to even appear to be dragging anyone else’s choices in buying ink. However, the reason I haven’t finished the ink review is that I can’t get past the price, and what I think the price represents, and the issues around the price that I perceive. I think raising prices and restricting supply is a smart strategy for a manufacturer of a luxury product, but I can’t help wishing so many companies weren’t trying to turn inks into a luxury product. I’ve never been anything close to a socialist, and never will be. But still I regret the change that’s taking place: I think it’s ultimately negative. I suspect that one reason I started my blog in the first place was to avoid the tulipmania kind of hype that I saw being developed online, quite deliberately, around certain brands. People’s search for indicators of status, belonging and primacy must be innate. I’m nonplussed that even those who’ve chosen to avoid all this can’t avoid dealing with the consequences, when we just want to buy a new bottle of ink. TLDR: the price thing is too much for me, too. Good to see someone else notices this too–I see a number of people get super disdainful about diamine or noodler’s inks, seeing them as the “cheap poor man’s inks” where the acceptable links start at the Iroshizuku/$20 per bottle range. Not here for this, or for expensive pens either. I get that Fountain pens can have a luxury bent but making it solely a thing for those with $400+ to spend on pens is very classist. All of mine are $20 or less. Thanks for contributing! And you make some valid points. (i) How much do I like it? This can make me spend more, depending on how much whatever it might be appeals to me. Like I’ve said elsewhere, some pens can border on works of art, some–like handpainted Maki-e Nakayas or Namikis–really are works of art. And for me, owning something like that, and using it regularly, would be like owning a beautiful painting, and admiring it from an armchair. Yes, that’s capitalism at its finest… hence the failed socialist. But at least I feel a bit guilty about one or two of my pens. (ii) How much can I afford? And my pen habit is wayyyyyyy down on my list of priorities to be honest. Long before I get another pen or ink, there are bills to pay, a family (including seven cats) to feed, litter and toilet rolls to buy, and my wife and children’s happiness to consider. But if there’s something left-over? It might get put aside for my fun and games. Which is why I like to think that I am getting the most bang per buck for my bucks. There is a finite supply of bucks after all, and I want to enjoy what I can. So I ask myself the question, is the Bungubox ink really worth so much more to me than the Diamine? Sometimes the answer is yes, sometimes no. And a big part of that equation is how much I get for my bucks, 20ml, 50ml, 80ml or more? Maybe it’s psychological, but 20ml instead of 90ml doesn’t make me feel great about the deal, and knowing that it costs, maybe five times the price of another ink I like, is something that most definitely influences my buying decision. That having been said, I question whether manufacturing processes, and luxury packaging, can justify the price differential between some brands, and I start to question whether I really need a full set of Bungubox inks, versus what I already have. I certainly want, but then I could wander a museum or two, and come out with a wishlist like you wouldn’t believe. Don’t get me wrong, this is entertainment. Other people have Spotify, or Netflix subscriptions, my uncles used to buy and sell motorcycle parts and build new bikes from them. I absolutely blame nobody for the free choice of how to spend their money, or their time, and maybe I am unduly concerned… but I thought it was a question worth raising. Ours is a hobby of desire… we see an object that borders on a work of art, and we desire it–sometimes we are lucky enough to obtain it. I think all of the above just serves to remind me how lucky I am to be able to obtain these objects of desire. Thank you!! The very first chance I ever get, you’ll be the very first person to know! I have to view it as a luxury thing, but also view it as where I personally choose to spend a bit more(or less) to get what I’m happy with. Some people spend it on clothing, or fancy cheese, good whiskey etc. Or a mixture of things! I don’t buy every ink I fall in love with and I don’t buy every ink thinking I’m going to use it all and get every drop of value out of it. In reading the comments here I see everyone has different things they view as part of the value of the ink, packaging is a big one. I bought a few colorverse inks last week when I saw a special to get a free little bottle with a purchase of two sets and I didn’t mind the price because the packaging and care in every set is so wonderful. Even though I know I don’t need a tiny bottle of the same color when my ink stays on my desk it still feels good to get that little matching bottle (although one set was from the new line so the big and little bottle were two different colors, which just made me want to buy even more). I get joy out of my plastic Noodler’s bottle being filled to the brim so I feel like I get every penny out of my purchase and I get joy out of seeing the beautiful sheen I get when I use my Bungubox Blueberry Pie. Long story short, I think the value comes from ticking whatever box makes you happy about the purchase, packaging, ink properties, branding or whatever. So, in this case, size really doesn’t matter! Like you said very well indeed, it’s about getting joy from the product. Different things play into getting that happiness, and–for me–I don’t like to feel that a manufacturer has somehow unduly profited at my expense. Thus, a 90ml bottle of a daily-use ink for $17 CAD can have the same satisfaction as getting a far smaller bottle of a beautiful limited edition ink, for far more $$$.